We definitely need the companionship of fellow Christians. It’s amazing how many times they help us through difficulties. Or how many times the Lord speaks through them, in answering our prayers. 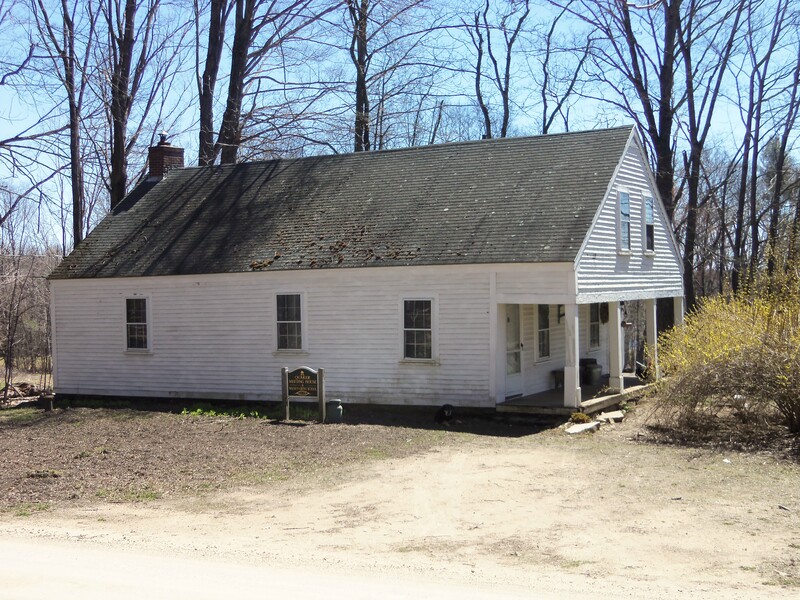 The Quaker meetinghouse in Lee, New Hampshire, doubled as a schoolhouse. Now a private residence, it was adjacent to the Cartland homestead, a stop on the Underground Railway whisking slaves to freedom. Moses Cartland was an influential educator and a founder of the Republican Party. 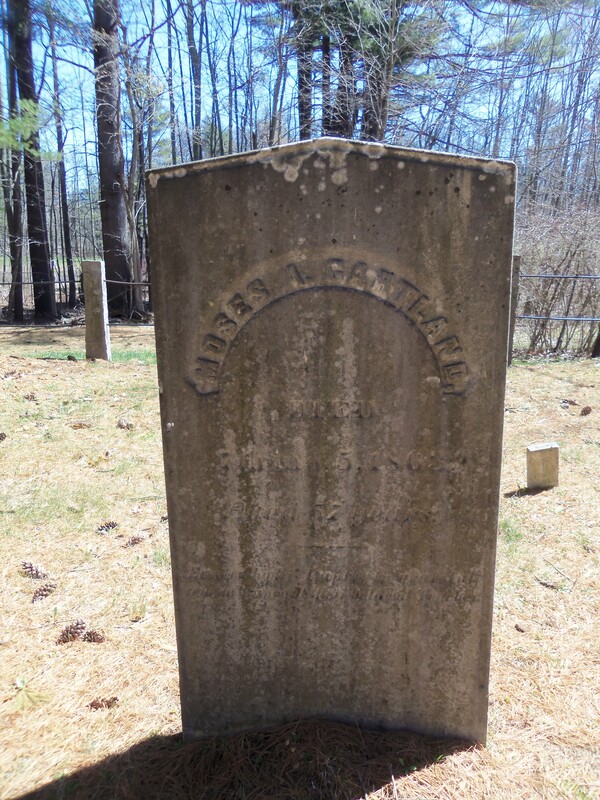 He was the best friend of his first-cousin, John Greenleaf Whittier, who visited often. The stone was erected by former students. 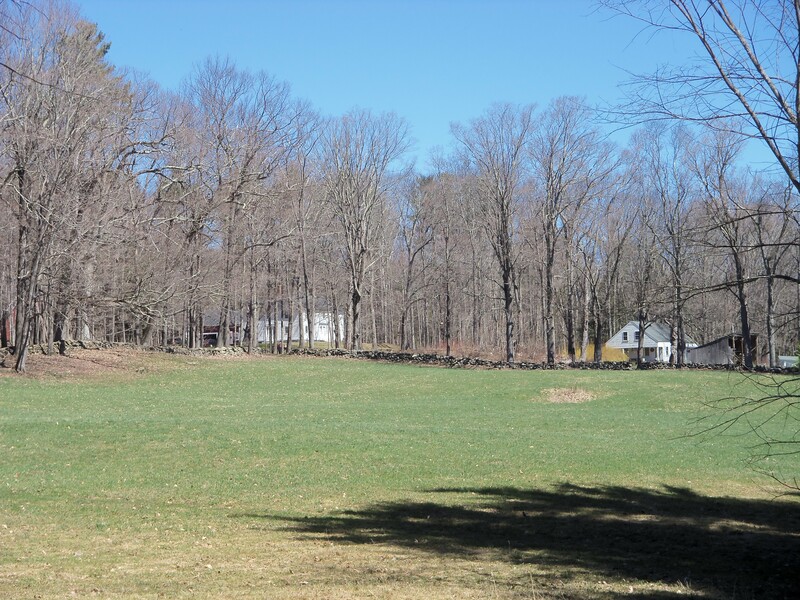 The large farmhouse, hidden in the woods, sits across the road from the meetinghouse, right. The view is from the Cartland family burial ground. They’re pretty autonomous in this version, except for the way the clerk winds up in the role of a CEO rather than a chairman or moderator. In many ways, this is the model of military and corporate organization – and it’s top-down in its assumptions. A newer way of thinking that’s sometimes called “nesting” instead considers the ways environments function and recognizes that each component is dependent on the others while simultaneously filling its own niche. Think of the liver in the human body, if you will; without the lungs, heart, and brain doing their part, it’s useless. Or think of hawks and owls both drawing on the same prey but working different hours. More than a year ago, realizing it wasn’t getting its assigned work done in its regular meetings held every other month, New England Yearly Meeting’s Ministry and Counsel Committee broke itself down into three informal working groups. One has focused on pastoral care – what can we offer to monthly meetings and worship groups and what are their needs? Another working group has focused on gathering resources to help local Meetings. For instance, where can a Meeting turn when an instance of sexual abuse occurs? The third working group has focused on facilitating the visitation of Friends among Meetings throughout New England. Historically, this was an important way of supporting and strengthening Quaker practice, and for the smaller Meetings it can be especially nurturing. Because M&C gathers as a single body, we also have time to share what we’re doing and to move an issue from one working group to another. Sometimes we even gather online to address a topic. It’s very exciting. And we’re also meeting several times a year with Permanent Board, with the same interactions. Something organic is happening. Bringing this perspective home, as some of us have looked at the actual work of Dover Meeting, we’ve seen that our committees might be regrouped into four or five larger bodies that might not have to be defined as committees. Call them ministries, working groups, teams, “minis” for “mini-meetings/ministries,” or whatever (I’m open for suggestions), they could be gathered around a set of concerns and have a coordinator or caretaker instead of a clerk. The membership might look at individuals as resource people rather than seats on the board. Not everyone would be expected to be present at monthly sessions, either, or the gatherings just might occur as a potluck instead. Each working group would include older Quakers for their mentoring skills and perspective, even if they’re no longer in a place for hands-on work, and those Friends who take up a project individually might find nurture and support within the working group as they check in or ask for resources. So what are you interested in offering to Meeting? In this structure, you can picture the Meeting as a big pie cut into four or five slices, if you will. Each piece touches the others at the center and lines up with two others on the side. It’s a circle of the whole rather than a set of compartments. It’s not just a different way of looking at Meeting – it’s a fresh way of looking at functioning together. Where would it lead? This originally appeared in Dover Friends Meeting’s newsletter as we consider new ways of addressing the needs of our faith community. Unlike many denominations, we Quakers are closely involved in the business of our congregations, or “meetings,” given that name by our recognition of church as the believers or people rather than any organization or building. (And so, the church meets.) The “monthly meeting,” or local congregation, is so named because we gather together to review our common business once a month even though we worship together at least once a week. In sharing this dialogue, I’m hoping Friends and non-Quakers will perceive ways the discussion might benefit their own circles, religious or otherwise. I certainly welcome insights and suggestions. After all, we’re all in a time of upheaval and the challenges are many. Once again, the world’s being turned upside down. Indeed! There’s enough glum religion in all stripes. But here’s an instance in which something I’d thought was a straight scriptural quotation actually isn’t. Instead we have a compression, most likely from Psalm 118 – although there are enough other rejoice citations in the Bible to also prompt this lyric of praise. On the eve of the crucifixion, as he’s trying to explain to the disciples the terrifying events about to unfold, Jesus makes an astonishing reference to rejoicing. “Truly truly I tell you that you will weep and mourn, but the world will rejoice. A woman has pain when she is giving birth, when her time has come, but when she has borne her child she no longer remembers her afflictions, through joy that a human being has been born into the world. So now you also feel pain; but I will see you again, and your hearts will rejoice; and no one will take that joy away from you. … Ask and you will receive, so that your joy may be complete” (John 16, Richard Lattimore translation). Joy, then, is something quite differrent from happiness. It has roots in affliction and transformation. It is an outpouring of love.